Features apply to standard telephone service. A Local Line Customer may order, in addition to the standard features, the following optional features, at the rates specified. For a complete list of the current rates, Click here. Click on the name of the calling feature for descriptions and instructions on their use. Allows you to refuse calls from those who have blocked their numbers. When you've turned this service "on" any callers who have blocked their number from your Caller ID display will hear an announcement that you do not accept anonymous calls - and they should remove Blocking and call back. All other calls will ring through as usual. 1. Pick up the handset and listen for the dial tone. 3. Listen for the confirmation tone or announcement. Hang up the handset. Available free to all residences and businesses who subscribes to caller ID. place the call through an operator which may involve charges in addition to the cost of the call. The live operator surcharge will be waived for customers of the Ironton Telephone Company who are victims of domestic violence, the staffs of domestic violence program agencies (when involved in domestic violence counseling) and emergency services personnel (while in the performance of their jobs). If the operator surcharge cannot be waived when the call is being placed, the Company will, upon notification, credit the live operator surcharge amount to the aforementioned party's telephone bill. Furthermore, should alternative methods become available in the future which permit the aforementioned to access the ACR party without revealing the caller's telephone number, the Company will waive any additional charges associated with such alternative methods. For complete instructions Click Here for the user guide page. A call is answered by call answering when you do not answer your phone after a designated number of rings, or when you are already on the phone. The caller hears your greeting and can then leave a message. The message is stored in your mailbox until you listen to it. You can then delete the message or keep it to play again later. Your Mailbox contains your messages, your personalized greeting, and your password. You play your messages at your home phone or any other touch tone phone by calling a system access number to reach your mailbox. You also record your greeting and create your password through your mailbox. Members of a family or any other group can have private sub mailboxes with their own password and greeting. All the interaction with the call answering system is confidential: no one else has access to your mailbox. At each step prompts tell you which key to press or what your options are. Any telephone works with call answering; no special equipment is required. For complete system use, a touch tone telephone is required. Caller - A Person calling your telephone. Greeting - The outgoing message which your caller hears. Keypad - The buttons on the face of a touch tone telephone. Sub mailbox - The private mailbox of a family or group member. Main menu - The first selection of features available when you first access your mailbox. Message - The incoming message from your caller. Password - The private series of numbers or letters which you assign to yourself for access to your mailbox. Prompt - A message or instruction from the system. This guide has been set up to help you learn and use call answering as quickly and easily as possible. The main sections contain a brief explanation, followed by numbered steps showing you what to do and what the effect will be. Some of the features described in this guide are options which may be available on your system. Ask your service representative about these options. If you need help at anytime while using call answering, press 0 . The help is content-sensitive. This means that when you press the help key, you get help for the feature you are using. The telephone number of an incoming call will display between the first and second rings. Caller ID service works only on calls which originate and terminate in central offices which are equipped and have SS7 connectivity. Caller ID is available to customers by monthly subscription only, which provides unlimited use of this service. As facilities permit, Caller ID Service will be provided to Residence and Business One-Party service, CENTREX and PBX Trunks. For calls originating from a line within a multi-line hunt group, only the "main" number will be delivered to a Caller ID subscriber's display unit. The telephone numbers that will be displayed on a Caller ID subscriber's display unit include listed, non-listed and non-published telephone numbers. 3. Calls placed through an operator. When these types of calls are received by a Caller ID subscriber, their display unit will notify them that the calling telephone number is unavailable. Caller ID Deluxe is an optional feature which allows the subscriber to view the telephone number of an incoming call and the name of the person listed as the holder of that telephone number on a customer provided display unit before the call is answered. The telephone number and name of an incoming call will display between the first and second rings. Caller ID service works only on calls which originate and terminate in central offices which are equipped and have SS7 connectivity. Caller ID is available to customers by monthly subscription only, which provides unlimited use of this service. Blocks the delivery of your name and number to the location you are calling. Caller ID Per-Call Blocking does not prevent the delivery of telephone number to 911 emergency service providers. 1. Pick up your handset and listen for the dial tone. 3. Dial the number you're calling as usual. 4. The person you've called will not be able to see your number displayed on their display screen. Instead, the word "private" or "anonymous" will be displayed. You must dial *67 each time you wish to place a call using Per Call Blocking, otherwise your name and number will be released to the person receiving your call. This feature is available free to all residences and businesses. Blocks the delivery of your name and number on a permanent basis. This service can only be added or removed by placing an order with the Telephone Company. When this service is removed the line is automatically converted to the Per-Call Blocking capability. Caller ID Per-Line Blocking does not prevent the delivery of telephone number to 911 emergency service providers. 3. Place your call as normally. Line Blocking - this feature can be ordered allowing the placement of automatic blocking on all of your calls. These features are available free to all residences and businesses. A $10.00 charge will be charged if you remove and reinstall Line Blocking. Allows you to forward all of your calls to a specific number, while still being able to make outgoing calls. This number can only be changed by a Customer Service Representative upon approval. Forwards your calls to a specific number when your line is busy. Forwards your calls to a specific number when you don't answer the call. These Call Forwarding Options are needed for Answer Call. Call Forwarding will remain active until it is deactivated by a Service Electric Telephone Customer Service Representative. Allows you to forward all of your calls to a specific number, while still being able to make outgoing calls. 3. Dial the number to which you want the calls forwarded. 4. Wait for the forwarded party to answer. In order for Call Forwarding to become active, keep the connection for at least six seconds. 5. If the number you dialed is busy or does not answer, hang up and repeat steps 1 and 2. 6. If you wish to confirm the activation of call forwarding, redial the activation code for Call Forward, *72 or 1172 on a rotary/dial pulse phone. You will hear two short tones when Call Forwarding has been activated. 3. When you hear two short tones and a dial tone, Call Forwarding is cancelled. While your calls are being forwarded, your telephone will ring briefly each time your number is dialed. You cannot answer calls while call forwarding is active. Call Forwarding will remain active until it is deactivated. Allows you to trace the telephone number of harassing calls through the phone company. Only law enforcement officers may retrieve this information from the phone company. 1. When you get a threatening or obscene call, depress the "switch hook" and release quickly. Listen for a special dial tone. 3. You will hear a preliminary announcement describing the Call Trace feature. Press: 1 to proceed with the trace. 4. Listen for the confirmation announcement that the last call has been traced. 6. The number you traced will be recorded at the phone company. If you decide to follow up on the matter, contact the proper authorities. Call Trace should be used immediately after you hang up on the call you wanted traced. If you get another call, or hear a Call Waiting tone first, you will trace the wrong call. If you wish, you may still place outgoing calls before activating Call Trace. A fee of $1.00 will be applied to your phone bill for each use. Know who the call is for - as soon as it rings. Two, three, or four different phone numbers can be assigned to your telephone line. Use one number for adults ... a separate number for a home business ... and another for the children. You can answer the phone differently for each call. 1. When someone dials your main telephone number, you'll hear normal ringing (one long ring). 2. When someone dials any of the other telephone numbers, you'll hear a special ring that identifies that number (such as two short rings). 3. Wait until the full ring pattern is complete before answering. You'll know whether the call is for you - and how you should greet the caller. 1. If someone dials your main number while you're on the phone, you'll hear a normal Call Waiting tone. 2. If someone dials one of the other numbers, you'll hear a special Call Waiting tone that identifies that particular number. Only one conversation can be held at a time. Although you have more than one telephone number, you still only have one line. Your telephone company determines how many different numbers can be assigned to your line. Allows you to create a list of 31 important numbers that you can identify by a special ring. When a call is received from one of the pre-determined telephone numbers, the customer is alerted with a distinctive ringing pattern. If the customer also subscribes to call waiting tone and the call arrives while the line is busy, a distinctive call waiting tone accompanies the incoming call. 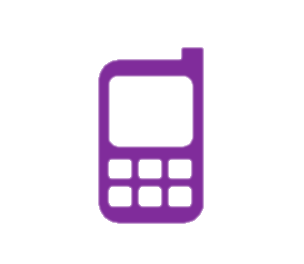 Calls from telephone numbers not included on the screening list will produce a normal ringing pattern or call waiting tone. 3. Listen for an announcement telling you whether the feature is currently on or off. The recorded voice will then tell you how many (if any) numbers are currently stored on your forwarding list. 4. Choose from the following options. Press: 3 to turn on/off. Press: 1 to review your list. 4. Dial the number you are accepting. 4. Dial the number to be removed. Identify calls intended for your teens or important calls you need to answer. Casual use - $0.50 per day. Your selected calls will have a specialized ring. Call Waiting will have a matching distinctive tone. You do not have to use a complete list for this service. A call to your number will automatically forward to another number. This number is programmed in our switch by a Central office Technician. It is a fixed number and it can only be changed by the customer by contacting a customer service representative. Referral Service is available to all customers in the Ironton Telephone Company service area. This service will be provided for three months free of charge. A customer may request additional months not to exceed one year total. Redials a busy number for you, then alerts you when it is available. Continuous Redial can check as many as 12 busy lines at once for you. 1. When you hear a busy signal, depress the "switch hook" and release quickly. Listen for a special dial tone. If you've already hung up, just pick up the handset again and listen for a normal dial tone. 3. If the line is still busy, hang up. Your phone will check the number for up to 30 minutes. 4. A special callback ring alerts you if the line becomes free. 5. Pick up the handset to automatically place the call. To restart the 30-minute clock, repeat steps 1 through 3. Service does not work on 800 numbers, 900 numbers, numbers outside the specified service area, or on lines where Call Forward and some other call services have been activated. You may still place and receive calls while waiting for a busy line to become free. A fee of $.50 will be applied to your phone bill for each use. Customers who chose the pay-per-use option will be billed whether or not the call is completed. Monthly subscription rates are available upon request. Allows you to automatically dial the number of your last incoming call, whether you answered it or not. The Return Call feature will not return calls to blocked numbers. 3. You will hear the number of the last incoming call. 4. To place the call, press 1. 1. Hang up. Your phone will keep trying the line for up to 30 minutes. 2. A special callback ring alerts you if the line becomes free. 3. Pick up the handset to automatically place the call. Does not work on 800 numbers, 900 numbers, numbers outside the specified service area, or lines using Call Forward and some other call services. A fee of $.50 will be applied to your phone bill for each use. Monthly subscription rates are available upon request. Three-way calling allows a subscriber to have up to a three-way conversation, by adding one additional subscriber to the customer's existing telephone conversation. 1. Press and Release the receiver button to your first call on hold. 2. You will hear three beeps and then dialtone. 3. Dial the third party (You can talk without including the first call). 4. To bring the first call back on the line, press and release the receiver button. 5. All Three parties will be in the conversation.